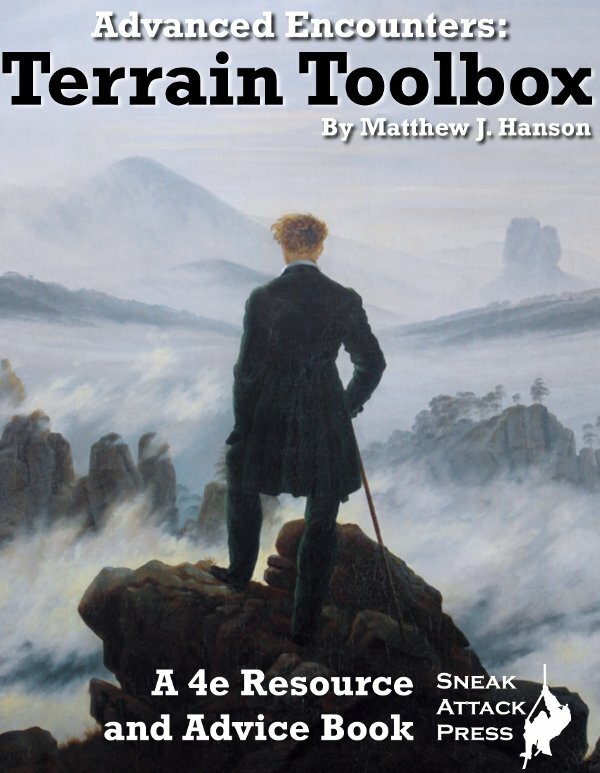 We’re excited to announce that our latest book Advanced Encounters: Terrain Toolbox is now available at RPGNow.com and DriveThruRPG. Oh and here’s the actual cover, which looks rather different from the one previewed. Will you be publishing a Pathfinder version of the Toolbox? We haven’t decided yet either way. Terrain tends to play less of a roll in Pathfinder, but if there’s enough demand it’s quite possible. True, but I think that’s precisely what makes a Pathfinder version such an interesting product, because it fills a niche.